Oh, Upworthy! You inspire me, then let me down. As an admirer of the work Upworthy does, I have applied for a position there more than once. My goal in doing so was to see a focus on adoption and its impact on children. Adult adoptees have a unique perspective on adoption to share. There are various blogs and articles as well as the electronic magazine Gazillion Voices, but not much on Upworthy until this. The story about Kim Kelley-Wagner has splashed all over my Facebook page and my Twitter feed; she lives in Charlottesville, a city we still consider our original home. At first glance, I was ambivalent. I felt that these words were powerful in the hands of a 13-year-old, that it spoke to people to know how insensitive the general public is on transracial adoption. But the more I delved into it, the more upset I became. As a parent, I know I have made many mistakes. I caught criticism from a recent article I wrote for The Good Men Project as well as the same article on xoJane. This article was based on a photography project I had started on feminism. Upon seeing the comments, I wondered if I had made a grave mistake in writing the piece and including my son. Understand that I did not get paid to write that article, nor do I use my photographs as a means to advertise a business. For me, my writing and my photographs are vehicles for activism. Activism was my initial thought in the Kelley-Wagner Images post, until I realized that her post was posted from her photography business page! 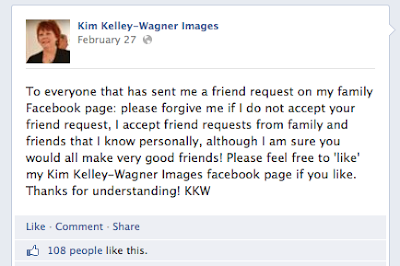 While it may not have been her intention, Kelley-Wagner appeared to be using her children as advertising props. Maybe I was blinded by another post by an adoptive parent (Rage Against the Minivan) of other transracial adoptees that had hit the internet around the same time. Her photographs of her transracial adopted children copying an ad for the Gap again seemed like a promotional stunt. Again, this site is this mother’s business site. She sells t-shirts and advertising. Back to Kelley-Wagner, had her photographs not been on her business site, I might have been persuaded on some level. But as a mother, I still have a problem with them. I would understand the project if it were prompted by the 13-year-old, but had not included the 7-year-old. In my mind, it should be written in the hand of the receiver of the comments. If the comments were said to the mother and the 7-year-old, the mother should be standing in the frame with her daughter to show solidarity. Now, my friend who is both an adoptee and an adoptive parent asked me why the mother should be in the photograph. She felt the images had more impact with the sad children’s faces. She also pointed out that the mother took the photographs. As an art photographer, I can state that a photographer has the means to take self-portraits. Also, as an “art photographer” and not a “commercial photographer,” I do not sell my images. They are a means for my activism; they are an essential part of my being. Selling them would be selling my soul. If you ask my subjects, you will know that they receive a copy of their photographs. There is a fine line in activism. While activists do not gain monetary riches, we gain pleasure in knowing we might have touched just one life and made it better. As an artist, I respect these women’s images and therefore am not sharing either of their photographs, as they belong to their businesses. You may view them via the links above.